Blenders have multiple use-cases, and they can be incorporated in your daily eating habits. A smoothie every morning to help you stay healthy, to those dips for nachos every weekend, a blender can be used for many purposes. A blender serves a wonderful way to save time, money, and makes you experiment more with your eating habits. However, like every other product, there are several types of blenders from different manufacturers. Some are obviously better than the others and provide more value for your money. KENT, a reliable brand, has the unsurpassed range of kitchen appliances for your home use. For instance, the KENT Kitchen Blender is an excellent kitchen appliance which comes with a heating function and 12 preset features that can make more than just a smoothie. It has an integrated LCD screen that displays the temperature for the perfect blend you need. The operating speed is rated at 30,000 rpm which can grind and mix anything your throw in this turbo blender. A blender with so many features can be used for multiple purposes. Here are 8 cool uses of KENT Kitchen Blender. Imagine drinking a glass of healthy fresh almond milk with the goodness of protein, Vitamin E, magnesium, and copper every morning. With the KENT Kitchen Blender, making almond milk is easy and seamless. All you have do is soak those almonds overnight, and blend them with milk the next morning. You can add few dribbles of vanilla extract for a zing! Who said a blender could only be used for cooking or drinking purposes? You can make delicious things to eat, but you can be creative and use it to make a body scrub. Blend olive oil, sea salt, walnuts, and any citrus fruit in a blender and use it as a scrub daily. The upside is that it is all natural! You might have heard of this before, but with a Kitchen Blender, you can easily make the delicious lump free soup which is healthy and free from artificial flavors like the ones in packaged soups. 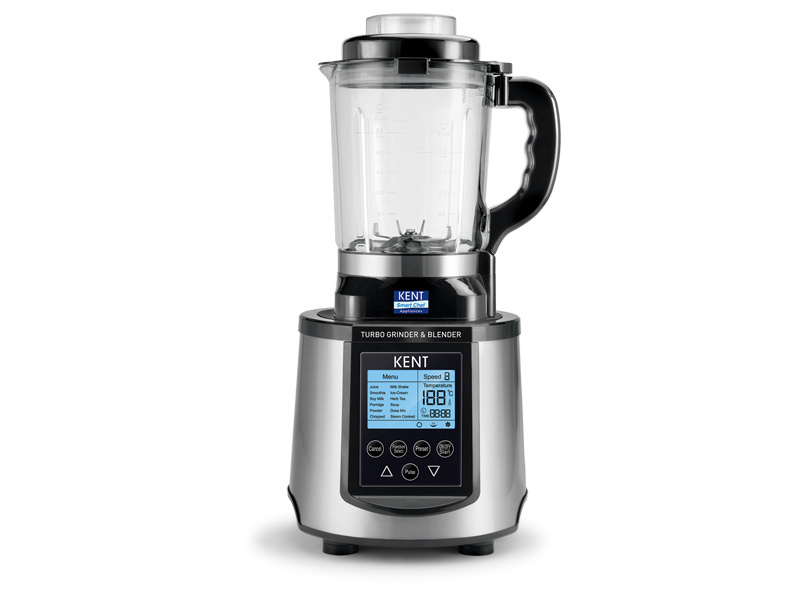 The high-power and high-speed function of KENT Kitchen Blender come in handy when making soups. All you have to do is blend the vegetables along with olive oil till you get a puree and cook it on a medium flame to the desired consistency. With a turbo blender, you can treat yourself to some natural non-greasy skin cream. Combine almond oil, beeswax, Vitamin E oil, almonds, herbal tea, Aloe Vera gel in a blender and blend away your daily skin care product. All natural and organic for your sensitive skin! Make a butter spread in your KENT Kitchen Blender by blending some cream until butter solids are separated. Strain the buttermilk and add ice water, salt, roasted garlic, parsley, and spices to give it an individualized touch. A blender can smooth out your pancake batter in no time. It will be well mixed, and you will have an accessible pitcher for pouring all the goodness in your pan. Use a KENT Kitchen Blender to macerate ingredients like ginger, herbs and fresh garlic easily. You can emulsify fruit vinegar and oil into a smooth, cohesive vinaigrette. A blender is specifically convenient for creamy dressings used with salads like chickpea tapas or Caesar salad. Remember the times when you were making a dessert, and you had no powdered sugar in your kitchen cupboard? Instead of running to your local store, you can blend sugar in a turbo blender. A kitchen blender is a handy appliance for a modern kitchen as it makes cooking easier, and gives you many options. It is fast, and a must have tool for anyone looking to expand their cooking horizons and for those who have less time but are not willing to give up on healthy food.